Dr. Mark L. Knapp (Ph.D., Pennsylvania State University, 1966), Jesse H. Jones Centennial Professor Emeritus of Communication and UT Distinguished Teaching Professor Emeritus, is internationally known for his work in nonverbal communication. Dr. Knapp taught at the University of Wisconsin-Milwaukee, Purdue University, and the State University of New York prior to his appointment at the University of Texas. He received teaching awards at each of those institutions. He is the author of Nonverbal Communication in Human Interaction, Interpersonal Communication and Human Relationships, Lying and Deception in Human Interaction, and has co-edited the Handbook of Interpersonal Communication. Dr. Knapp has taught graduate and undergraduate courses in nonverbal communication, communication and relationships, and lying and deception. He is the former editor of Human Communication Research and the past president of both ICA and NCA. He is an ICA Fellow and an NCA Distinguished Scholar. 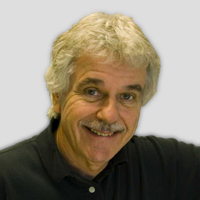 Dr. Knapp has lectured throughout the U.S. to academic, professional, and business groups.